Prelude: A mismatch made in heaven or hell? 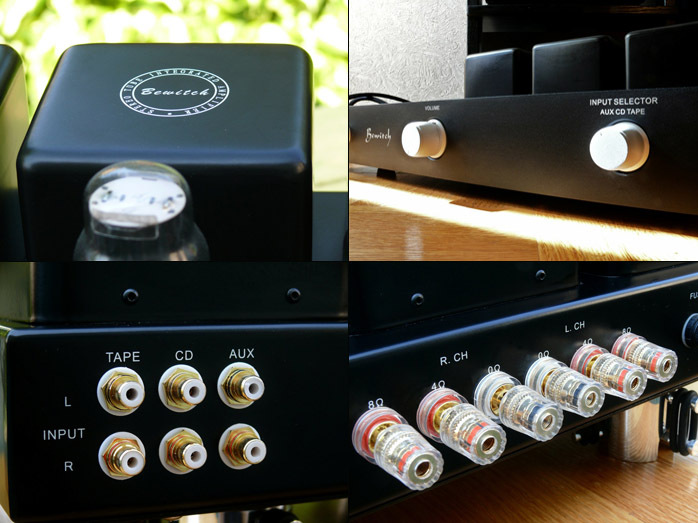 A 30wpc integrated tube amplifier powering the Apogee Duetta Signatures on a solicitation review? Visions of ribbons reduced to tinfoil danced in my head. Tubes turned to smoldering ash. I must confess to a little trepidation. Would this review literally go up in smoke? Or did the folks at TrueHarmonix have a trick up their sleeve? Basic overview: For 6moons readers, the TrueHarmonix 6550 integrated may look familiar. Outwardly it is nearly identical to the Puresound A30 reviewed in these pages by Wojciech Pacula a few months ago. Be assured however that this is not a follow up. The 6550 is a different beast. Or so we’re told. TrueHarmonix states that although sourced from the same Chinese manufacturer to share the same platform, the 6550 being offered in the US is built to their specifications. 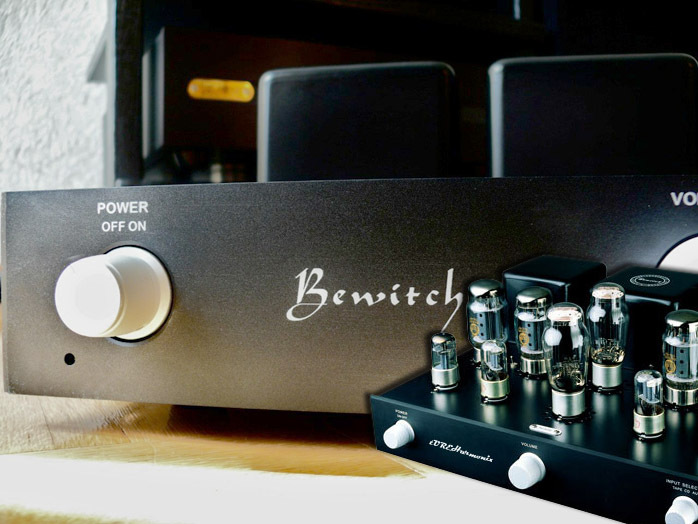 People familiar with the Bewitch logo should also be aware that compared to the OEM Bewitch model, the TrueHarmonix 6550 goes more upscale with significant parts upgrades. The review sample submitted still sported the Bewitch badge but current production models bear the TrueHarmonix logo. The TrueHarmonix lineup continues to evolve, spanning accessories, headphone amplifiers and now two full-fledged diverse lines of amplification pre and power catering to both the low and higher wattage crowds. The Sound Master line is comprised of purely upscale reference separates and the TrueHarmonix line caters more to budget-conscious audiophiles. 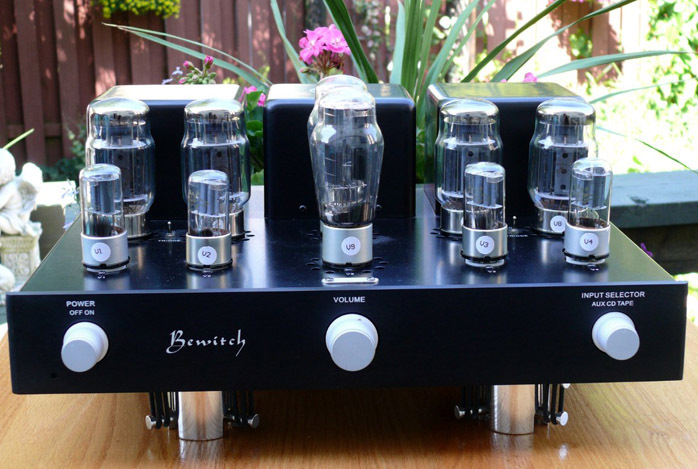 It offers mainly integrated amplifiers of different tube and power configurations plus one line stage. The 6550 integrated occupies the comfortable middle ground of power output in the TrueHarmonix repertoire with the benefit of switchable class A/AB modes. 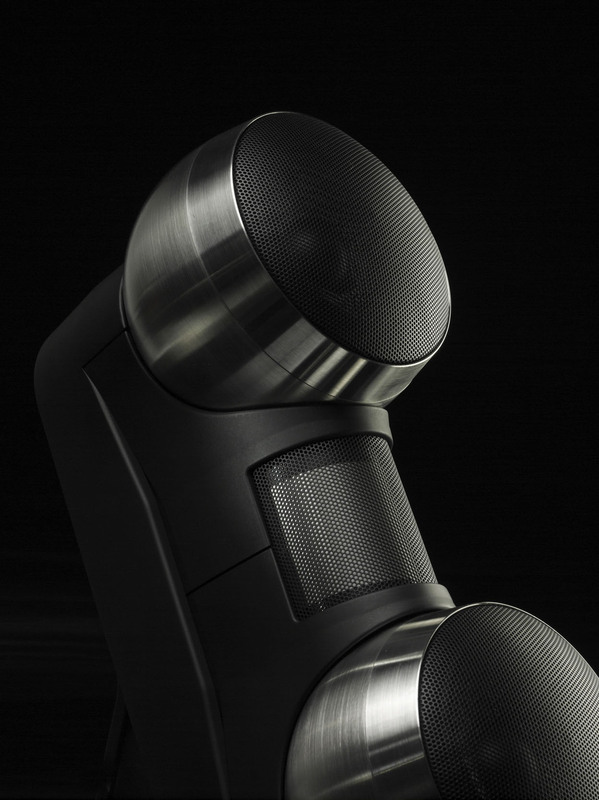 The design of the 6550 is attributed to Peter Lam, the man behind the Sound Master Reference line, and Andy Wun. It incorporates a minimalist preamplifier and hefty little amplifier stage capable of 30wpc class A triode or 60 watts Ultralinear. The layout is clean and makes use of PCB rather than point-to-point wiring. The amplifier is self biasing. The extensive weight of the unit is due to good-sized output iron made with grain-oriented silicon steel cores to reduce distortion and Hitachi oxygen-free enamelled copper. The upgraded parts complement consists of an Alps potentiometer, valve rectifiers with choke, SCR coupling capacitors, carbon-film resistors and Russian ElectroHarmonix 6550 output tubes. The other supporting tubes are 2 x 6N9P, 2 x 6N8P and 2 x 5Z3P. 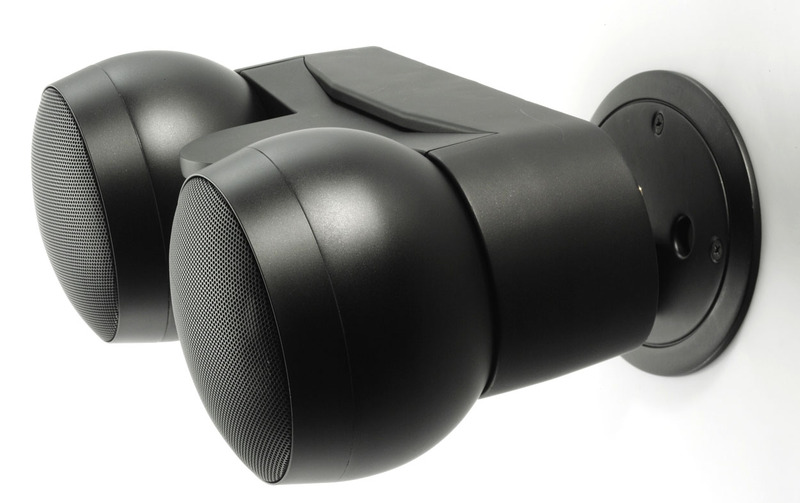 The designers have opted for minimal functionality with only 3 inputs and no balance or tone controls and no remote. This Spartan approach allows them to concentrate their efforts on the sound. 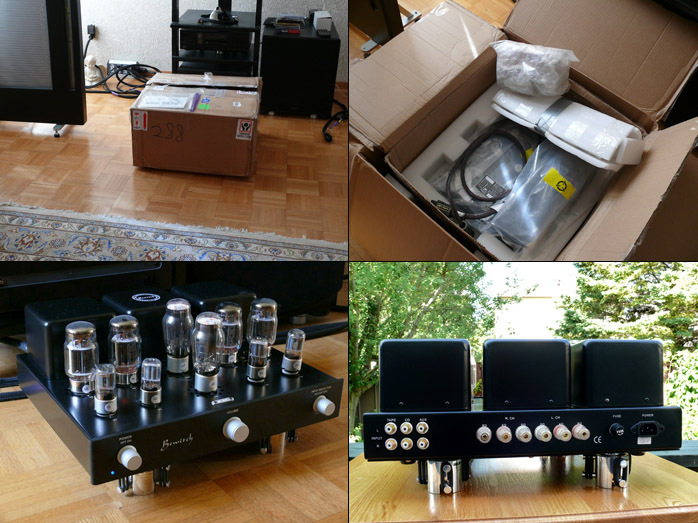 The arrival: The TrueHarmonix 6550 arrived well protected in a double boxed cardboard container weighing in at 25kg (55lbs), with foam spacers separating the inner and outer boxes. In the main container the amplifier and components were snuggled inside a two-piece foam cage with additional 1-inch thick top and bottom foam slabs. The tubes came in two containers. The power and rectifier tubes were wrapped in bubble wrap and tucked in a rectangular foam sleeve. The smaller tubes came individually bubble wrapped and group protected in a bubble wrap roll. Basic construction is 2mm folded sheet metal with a ventilated bottom plate sitting atop four good-sized rubber feet; and an 8mm thick aluminum faceplate with gently rounded edges. The amplifier has 3 unbalanced inputs dubbed Aux, CD, and Tape. The tape moniker is an anomaly since there is no tape output to facilitate recording. It is simply another input. There is no pre-out or separate main-in to make this integrated a strictly self-contained piece. There is no phono stage either so vinyl lovers will have to seek an outboard device. The amplifier outputs provide both 8 and 4-ohm taps and the connectors are quality custom gold over copper. The RCA inputs have a good snug fit and the amplifier binding posts are solid and accommodate both banana and spades as well as offer a generous hole for bare wire. The front panel controls consist of three large knobs for power, volume and inputs. The selector knob and power switch have a high-quality feel and the Alps pot was operationally quiet and smooth. Triode/UL selection is via two large top-mounted toggle switches, one per channel. A welcome inclusion was an aftermarket AC cord. The 6-foot (1.8m) Hobby Lab Prelude 1 promises to elevate performance above the standard throwaway generics and saves the buyer additional upgrade expense. Aesthetics are basic black with white lettering. A raised metal "NO. 6550" badge is fastened to the front of the top plate with Allen screws. The low chassis and exposed tubes give the 6550 a sleek and user-friendly look that belies its true weight. The oversized satin-finished metal knobs add a little extra accent and class. A single blue LED located beneath the power switch informs you that the unit is turned on. Setup: The integrated amplifier was tested in the main listening room using the Audio Space CD player with either tube or transistor outputs as well as the custom zero oversampling Luxman. 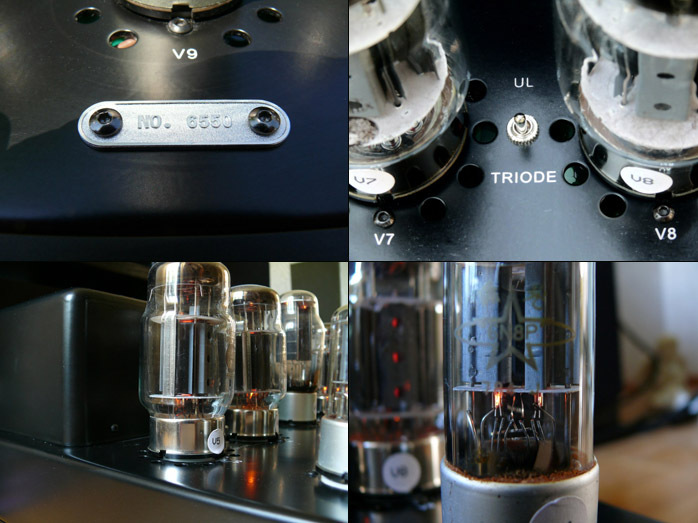 Best compatibility was with the Audio Space CDP-8A transistors, their tubes a close second. There was a trade-off between dimensionality and transient edge but I found that the 6550 benefited most from the additional attack definition of the SS source. The Apogee Duetta Signatures were run full-range because the inability to separate the preamp and amplifier stages precluded a subwoofer. The TrueHarmonix Prelude 1 power cable saw primary duty providing AC followed by a generic cord and finally the Audio Art Power 1 SE to evaluate the amplifier’s sensitivity to cord changes as well as the overall quality of the supplied cable. The Solid Tech Feet of Silence were chosen from my arsenal of resonance control devices to ensure isolation for the amplifier. Then it was time to dig into my music collection and let the tunes roll.